Work for Arvixe Web Hosting? "better uptime, with value of money"
The uptime and server performance is good. E-mail delivery is quite good as they implemented SPAM dealing mechanism. Their first line support is just OK. Many matters need more professional capability for that they transfer the issue to seniors via ticket and that takes days to resolve. Arvixe is customer focused hosting service provider. I am their customer since many years and saw that they try to be better from yesterday. During my tenure, their CEO Mr. Arvand, left the company. After that I feel that support goes worse. But now they again improve their services. The hardware upgrades was performed during my tenure but the downtime is very minimal during this activity. I should recommend the hosting services from Arvixe. Web hosting, MS SQL database (on Windows), and MySQL database (On Linux) server giving me capacity to go online with my company's website and its web applications. "Poor Customer Service & Lack of Security "
I liked the price when I first started with Arvix. They came to my web dev school and provided a demo, then had excellent student discounts for the first year. This was an excellent marketing tactic to get me started on Arvix. Now that I have been using Arvix for a few years and have built multiple websites with their hosting services, I find their customer service to be very poor and their security measures to also be lacking. I have gotten had client websites get hacked multiple times and Arvix was not helpful at all during these times. They provided great student discounts in the beginning. Arvixe offers a wide range of quality web hosting solutions including Linux hosting, Windows web hosting, managed dedicated servers. Starter plans have every tools you need, even features that are offered in pricey packages by other hosting services. Excellent product support from US-based experts. May require a bit of training especially for first time users. 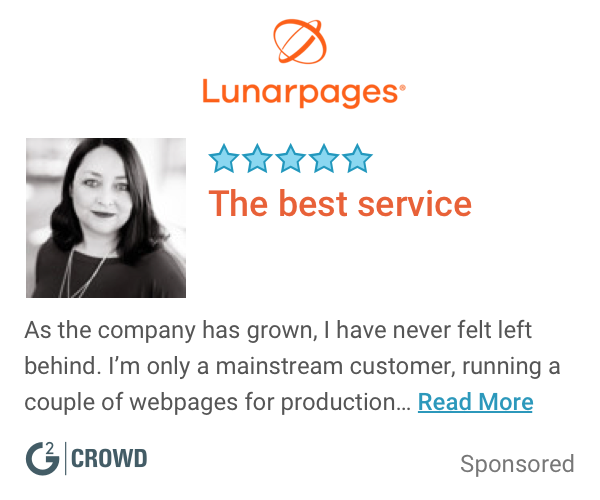 "Good service for what I pay"
The price is the feature that i like the most, because I can have several websites hosted for the cheapest price I know until now. Also it uses cpanel which I have alredy used at some other stage of my life, so it was quite easy to get used to it. The fact that you can park several domains is the best feature. I have also applied a promotional code so the final price is some cents cheaper than the actual price. At first I had a little issue with the domain name that they offered for free, but it was all good afterwards. At the end, it was free right? After some time dealing with the online chat they were able to solve the problem. I know a little about the "hosting world" but I guess that for people that is new to this, it might be a little tricky to solve it. At that time I thought about just quitting and get another provider, but then it was solved and it was good. If you need to host several websites that do not have a lot of traffic, then it might be a very good option for you. I use the hosting for my website and some others, so it solves my hosting requirements. The main benefits is that that the price / quality balance is good! The offer several plan features for every need. Most services come with proactives security measure to help protect your site. The hostings plan has unlimited storage and bandwidth standard. Some additional features are very good like backups, brute force detection, nightly security updates, a firewall, SSL support and SSH access too. Page loading times are bit higher than usual. Very Slow Customer Support Response. The reality of it is there are plenty of better hosts out there. This is a reliable web hosting provider that comes in slightly more expensive than the competition. "Company needs a Makeover "
Over priced & everything goes wrong. The company suffers from horrible customer service and no one to help when there is an issue every time you use the company on a daily bases. Hosting is what I usedthe Company for and I’ve suffered with customer service because of technical issues and when customer service is bad, the company suffers. "Arvixe's quality has gone down after acquisition"
Ease of use, both the cpanel options and domain purchases are straightforward. The pricing is good as well, but keep in mind you get what you pay for. Domains no longer come with whois protection, it's an additional $10 to get it. Sites lag a bit, evidence of shared hosting that is cheap. Support can be slower than it used to be. For the price, it's a decent offering, but after my current contract is up, I will probably look elsewhere. Speeds, support, and value are not what they used to be. Support can take awhile to get, and quality is down as well. Speeds are far slower than they used to be. Whois privacy protection has now been separated from domain registration fees, so it's more expensive now. I'm using arvixe to host my business and personal sites. It's easy to set up and cpanel is invaluable for ease of use. "Solid but there are better hosting options"
Arvixe provides a lower cost hosting option with everything necessary to build a working website. They offer Softalicious one click installation of many of the most popular apps and frameworks including Wordpress, Joomla, and phpBB. Reliability has been an issue for me and support was not as responsive as I'd have liked considering the effect downtime can have on an online presence. Once traffic increases, reliability can be an issue and support leaves something to be desired. Consider the cost of the hosting with the reliability and need for amazing support. There are other low cost web hosts that offer much better support. I use arvixe to host a number of sites. They offer a free domain with the purchase of a hosting plan and their lower cost options are good for small or newer businesses looking to build a first web presence. What can I say good about this hosting company? It's very affordable and reliable. It's got 99% uptime. When I call I usually get someone in the USA. It's got cloud services. They even have unlimited. They have been in biz since 2003. I really cant say anything bad about this hosting company. They have unlimited storage so you better jump on it when you can. I needed affordable hosting and I got it. "Used to be great - now horrible"
The Website control panel is a very useful tool. It is very easy to manage sites and settings. There is absolutely no support now. Recently, they let one of my SSL's lapse. I put in a support ticket with several reminders, and somebody replied a week later saying they need to charge me more money for my SSL due to a billing error. I never got an invoice. I moved my site to Azure. There are many complaints like this. Apparently most of their support staff was fired and outsourced. My clients needed affordable, reliable ASP.NET web hosting. To this end, Arvixe is inexpensive. not telling me about auto renewal until it happens other then that pretty good. 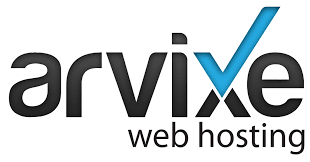 arvixe is a great company for web hosting ease to use. uploading my customers websites that I have done for them on the arvixe server. They offered a lot of features and the price is reasonable, one of the most affordable shared hosting environments for Windows that I have came across! You get what you pay for! The shared hosting environments are crowded and over-utilized, it is fine if you are just using it for a personal website and not for business. Look for promo codes to reduce the cost and don't sign up for a long term hosting contract yet, start with 1 month to get a feel as to their level of service. "Great host (Hosted my website for 3 years)"
Arvixe is fast and strong. It's update time is very quick and they keep your site secure. They almost always have an offer to discount your first year's hosting which makes it easy to get started. I tend to get a lot of extra emails I don't really need from them, but it's been significantly reduced in the past 6 months. I host my own professional website. The hosting was simple to use and manage. The associated email clients worked great also. The features and functions lacked complexity, but that could have changed with recent updates. Cost effective website hosting. The hosting g was low cost, easy to use, and worked for what we needed at the time. Lots of turn key applications to use an install to get your website up soon. Competitive pricing. Customer support tends to be slower than expected. Some applications require advanced support. I used to use the service to promote my web and computer support business. Learning about Arvixe Web Hosting? * We monitor all Arvixe Web Hosting reviews to prevent fraudulent reviews and keep review quality high. We do not post reviews by company employees or direct competitors. Validated reviews require the user to submit a screenshot of the product containing their user ID, in order to verify a user is an actual user of the product. Hi there! Are you looking to implement a solution like Arvixe?